Just a fun illustration I did celebrating Kuwait's National Day + Liberation Day (February 25 + 26)! 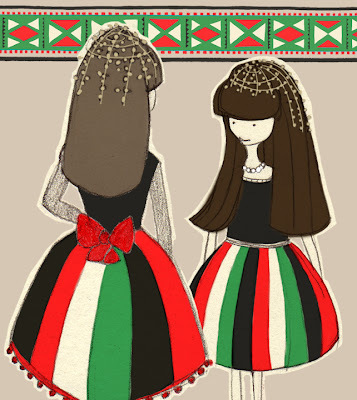 This year commemorates the 50th year for National Day & 20 years since Kuwait's liberation from the Iraqi invasion. 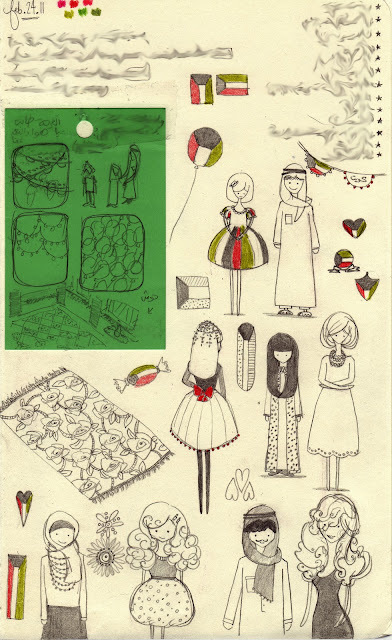 The girls' dresses are inspired by a dress I wore myself when I was around 5 years old. I really miss being back home around this time. It would have been a real treat to be able to take a bunch of photos of the celebrations and the decorated city! But I did find this awesome photo of Kuwait Towers + fireworks by Photographer Yousef Alsaleh! Enjoy! 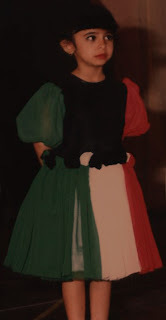 Me in a Kindergarten performance (either 1994-1995). This dress is what inspired the above sketches + illustration!